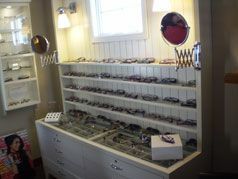 We are a full service optometrist's office offering a complete line of brand named eyewear from readers to sport lenses and frames. All prescription frame and lens purchases come with a one year warranty. Call us for details.